Vera Bothner likes to get inside peoples' heads. Once she better understands the "why" behind the behavior, she can help clients design programs and communications that work. Her experiences in communications at a non-profit, as head at the state's largest advertising and public relations firm and as a consultant to the Kansas Health Foundation, have given her a wide variety of lessons learned to draw upon for clients. Throughout her career she has counseled dozens of organizations on branding, issues management, community relations and through crisis. Involved in many community activities, Vera was a lead volunteer in helping pass a $284.5 million school bond issue election in Wichita. She serves on several non-profit boards in Wichita and at the state level served on Governor Sebelius' task force on education. Vera has a bachelor's degree from Kansas State University in journalism/public relations and psychology. She is an accredited member of the Public Relations Society of America and the Counselor's Academy. 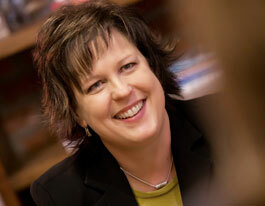 Tami Bradley loves the challenge of communication. 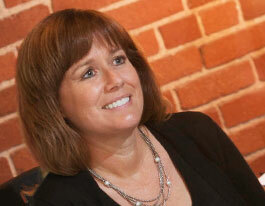 More specifically, she loves to help clients figure out strategies that will help them communicate effectively. With a background in audience research and applied marketing techniques that show results, Tami takes this challenge seriously. She spent nearly 12 years in senior management for the Kansas Health Foundation, where she directed social marketing projects related to children's health and public health, including Emmy-award winning media campaigns and community-based initiatives. She has published in the areas of social marketing and information/knowledge management. Since starting her own business, Tami has helped clients understand their own organizational communication needs, their external target audiences and how to apply communication strategies that make a positive difference. Tami has a bachelor's degree in journalism and a master's degree in communication, both from Wichita State University.